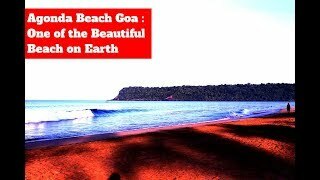 Undoubtedly, Goa, India’s Party Capital, is the vibrant destination that guarantees your entertainment. 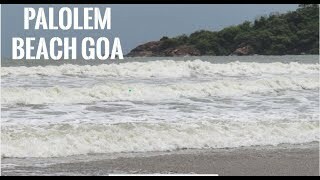 Having numerous exquisite nightspots to spend the night, North Goa and especially the area near Baga Beach in Calangute, stands out in the entire country. Don’t waste time, let’s take a look at some of the best discotheques and party places that will surely take your breath away. Tito’s Club: The most famous brand name is undoubtedly the iconic Tito’s. Started from the 70s and creating the legendary «Tito’s Lane» with the top spots, along the Baga Beach in Calangute’s North Goa, it has formed the western entertainment in India. The same family has developed plenty of the most imposing haunts in the area, impressing the visitors, both foreigners and locals, particularly with the most popular of all, the «Tito’s Club». Representing happenings in a cheerful ambiance, art design, international and Indian music, Tito’s is the crowded party destination that you should totally investigate in your vacations in Goa. Cafe Mambo: The new addition to Tito’s brand is the majestic «Cafe Mambo», which rapidly became the center of Baga Beach’s amusement. It continuously hosts hot events and brings famous DJs and celebrities. Surely, the always bustling dance floor and the endless range of drinks and music will satisfy even the most demanding newcomers who desire to pull an all-nighter. Cape Town Cafe: Operating as a club and bar in Tito’s Lane, this hip nightspot has unique indoor and outdoor space. The «Cape Town Cafe» is more lounge outside, while in the night it transforms into a lively club, throbbing under its disco lights. Kamaki: Another diamond in Tito’s Lane, Kamaki, has caught people’s interest with its mainly retro and energetic atmosphere. Meaning «Hustler» in greek, Kamaki is the place where you can have fun until the dawn, enjoying the live musicians and indulging yourself with the unbeatable old-school, house and hip-hop music. Bollywood Discotheque: Also known as the «Club Bollywood», this amazing discotheque is the meeting place of the Bollywood music enthusiasts. It is specialized in Hindu commercial hits, always organizing happenings with special guests and beloved stars. Club Cubana: Located on a hilltop in Arpora, in a short distance north of Baga, «Club Cubana» makes a difference with its variety of dance, disco, techno and trance music. Having a large outdoor area with palms around, multilayer dance floor with neon lights and constantly hosting affairs in its majestic pool, it constitutes the absolute party destination. 6th Sense: Another location with even more fascinating neon lights and dark black motif is the «6th Sense» in Calangute. This energetic discotheque is flooded with people who come to enjoy the celebrating atmosphere and the amazing dance music. Club Blue: Situated in Calangute-Baga Road, not far away from the Baga Beach, it is hosted inside «La Calypso Hotel». The «Club Blue» is regarded having one of the largest indoor space and dance floor, while the exotic blue theme of the club as also the salsa and rock and roll music, among other genres, will definitely drive you crazy. Club Xo/Cocktails & Dreams: One more vivid member in The Tito’s Lane is the «Club Xo», the club with the best cocktails in the area, as its name refers. A rather small but zestful place, it faces the entire Tito’s party zone and guarantees the frenzy dance. Utopian Retreats: Located on the beach in Calangute, «Utopian Retreats» constitutes the alternative lively club, which has been the favorite among the foreign tourist. The underground discotheque inside the beach bar is specialized in afro, hip hop and dance music and has become the alternate joyful place that stands out.